Fall is one of my favorite times of the year. The leaves are turning, things get a little cooler, kids go back to school and it's boot season! While I enjoy those things the best part of the fall is that it's time for new Pampered Chef products! This season the Home Office has come out with some fantastic products that will really wow. Another favorite part of the new fall products is that there are always special holiday products and sets. This year I want every single holiday product. 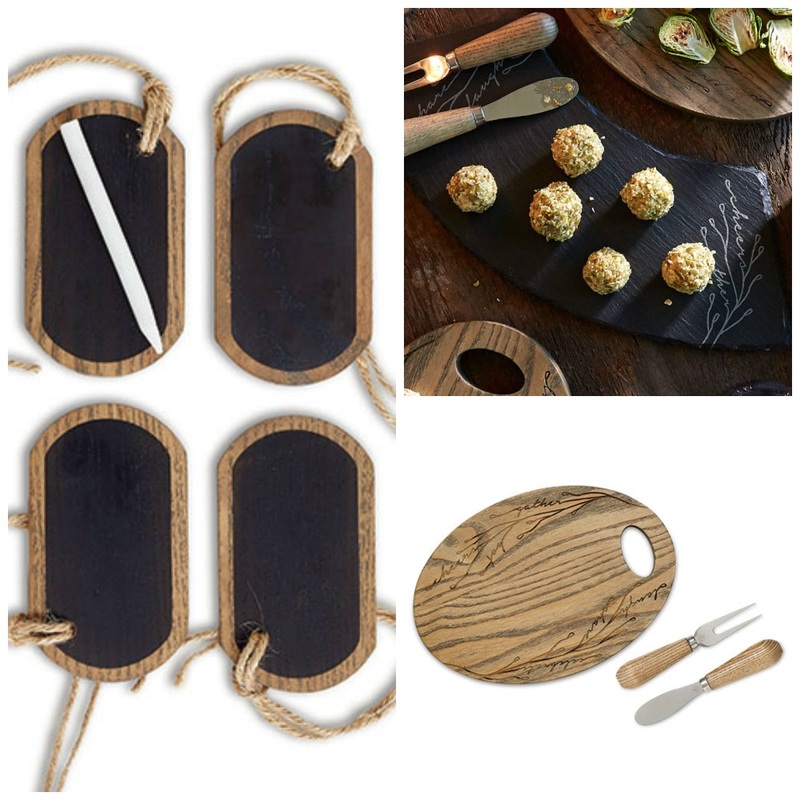 I am in love with the two serving boards and how you can mix and match the two. They match any kitchen and the price point makes them perfect gifts for you and everyone you know. Be sure to check out the other holiday products like the Wine Essential Tools which combines three fantastic products for your favorite wino. The new entertaining products aren't just for the holidays there are new products for the regular line as well. Since the new serving pieces are a glazed stoneware you can actually cook (up to 450 degrees) then serve with these beautiful sandstone and graystone pieces. I'm in love with the Medium and Large Entertaining Platters, I can't wait to use them for the Gamma Phi event I'm hosting later this month and do a cheese or charcuterie plate with them. Everyone will be wowed! They really are stunning. If you're familiar with Pampered Chef stoneware you'll recognize the product on the way right as the Deep Covered Baker. It's been revamped this season with the trendy graystone color and the handle is way improved! This fall Pampered Chef is all about kids in the kitchen! They developed these special sets by kids for kids. The products are fun and colorful along with being made with kids hands in mind. 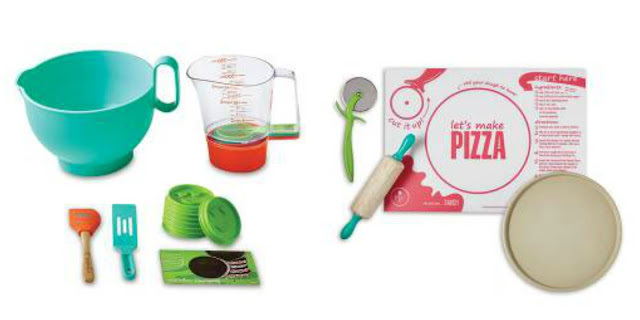 Turn your kid into the next best chef with these fantastic sets. 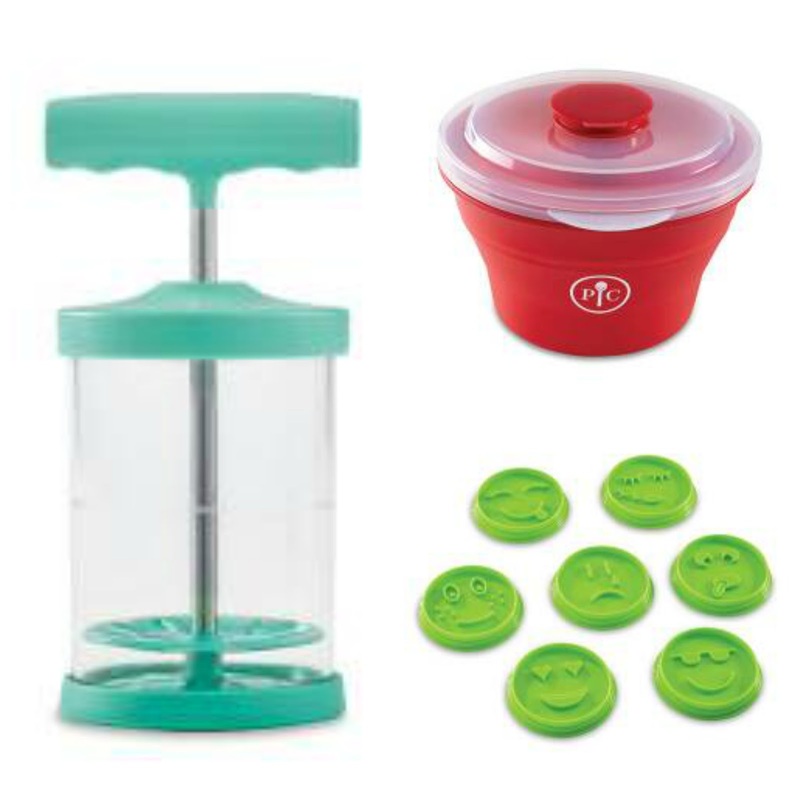 You'll notice that the Emoji Cookie Cutter Set is also a part of the Baking Set. The Emoji Cookie Cutters are also the Round-Up From the Heart product for the season. So they're the perfect product to put a smile on someone's face and food on a plate. There are a bunch of other new products that you should check out! I'm ready for some fun in the kitchen this fall, how about you? !